The 2018 H.U.G. 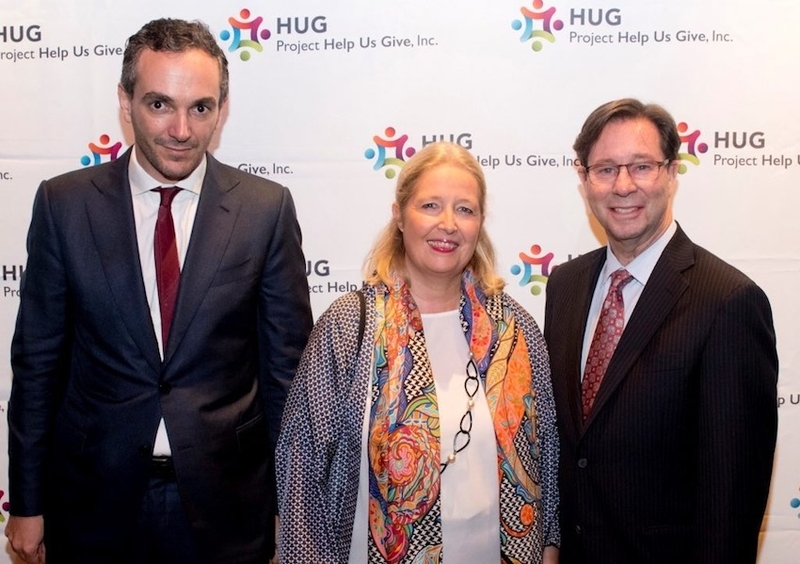 Award Gala, held at the luxurious 230 Fifth Penthouse on November 6 by Project Help Us Give (P-HUG), brought together leaders from the intimate apparel, retail and textile industries to honor Robert Vitale, President and CEO of Wacoal America, and Eurovet, owner of the Curve and Interfiliere international trade shows, to benefit pediatric programs at Rusk Rehabilitation and other services atHassenfeld Children’s Hospital at NYU Langone. Award for Eurovet were Marie-Laure Bellon, CEO of Eurovet, and Raphael Camp, CEO of Eurovet Americas. Established in 1955, Project Help Us Give is a 501(c)(3) nonprofit organization dedicated to supporting pediatric treatment and rehabilitation. Its mission is to unite individuals in a charitable organization, and to partner with pediatric healthcare and service providers to deliver the best care and to contribute to children’s independence and optimize their quality of life.